We meet on the third Saturday of every month at 3pm. Our meetings take place at members' homes and local shops. Sometimes we'll move a meeting date if it interferes with a frag swap, holiday or other event, so check back here or on our forums each month. March 21, 2009: Aquatica in Garner. We had a great fragging demonstration, thanks to Billy and Thomas! April 18, 2009: ReefKeepers in Clayton. We had a very educational tour of the store's plumbing and equipment, and got to discuss water chemistry with Bill (the owner). 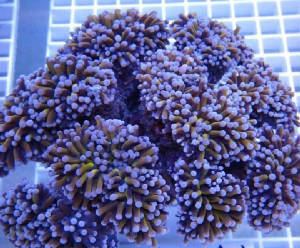 May 23, 2009: Down Under in Garner (moved due to frag swap). We had a great time just hanging out, and talked a bit about controllers. Cindy, the owner of Down Under, also offered a great discount to club attendees! June 20, 2009: We had a cookout/pool party/agrocrete demonstration at NBradley88's house. It was hot, but that's what pools are for. Most of us have never tried to make our own live rock, so we learned a lot and look forward to doing it again soon! July 18, 2009: Dinner at Moe's in Knightdale. Welcome to Moe's! August 15, 2009: Road trip to Carolina Reef Growers/Star Ridge Aquatics in Carthage. Well worth the trip! September 12, 2009: Talk on Coral Care Requirements from Brian Campo of The Reef Farm. He made us awesome color coded charts detailing the feeding, light and flow requirements of several common corals. November 15, 2009: Raleigh Aquarium Society Swap Meet & Sale. November 28, 2009: Potluck at Zoagirl's house in Wake Forest. January 9, 2010: Down Under in Garner. 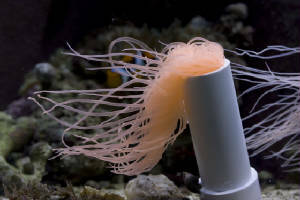 Discussions on raising Banggais and seahorses, as well as a calcium reactor setup demonstration. February 20, 2010: We discussed refugiums at Blitzburggirl's house in Hillsborough. March 20, 2010: The Reef Farm, Raleigh, NC. 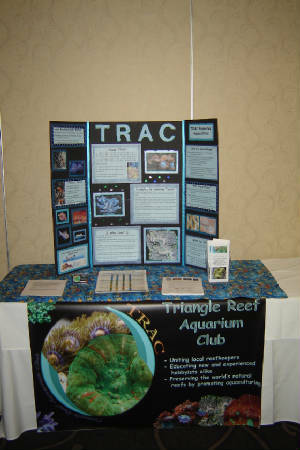 April 18, 2010, 12pm to 6pm: ReefSMART was a HUGE success! There were well over 250 people there, and TRAC is looking forward to helping with the next one this fall. June 19, 2010, 1pm: - Carolina Reef Growers in Carthage. July 10, 2010: The Reef Farm in Raleigh. August 21, 2010: ReefKeepers in Clayton. Bill gave a talk on biological stability in reef tanks. January 29, 2010, 1pm : The Reef Farm in Raleigh. We made our own frozen food and everybody got to take some home. September 17, 2011, 3pm: Join us at the new Fish World in Raleigh for our September meeting. Fish World has recently reopened under new ownership, and this is our chance to meet the owners and learn about Raleigh's newest LFS. 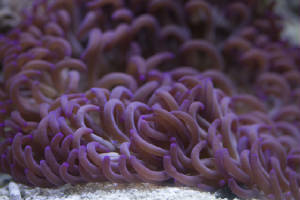 October 8, 2011, 12pm: We'll be having a Frag Swap at The Reef Farm in North Raleigh. There is no registration fee to swap or sell, so come on out and enjoy yourself. 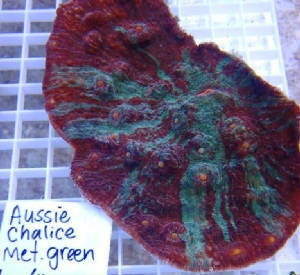 There will be drinks and snacks, and special sales on corals from The Reef Farm. January 21, 2012, 3pm: Our first meeting of 2012 will be at a member's home in Preston (Cary). Frag swapping/selling/trading is allowed, and of course, there will be snacks and drinks. RSVP through one of the message boards or our email for the address. Hope to see you there!